Robert Mayes, President and founder of the Boston Cello Society. Robert has performed throughout the United States and abroad. His teachers have included Natasha Brofsky, David Soyer, Fred Sherry, and Michael Reynolds. His performances have been broadcast on National Public Radio’s From The Top as well as on PBS. Robert holds a Bachelor of Music degree from the New England Conservatory of Music, where he was the recipient of the Frances O. and Elizabeth Hunnewell Scholarship. In 2010 he graduated with a Masters degree from the Juilliard School, where he was the recipient of the E. & W. Naumburg Scholarship and the Irene Diamond Graduate Fellowship. He is currently pursuing his Doctorate of Musical Arts degree at Boston University. Mr. Mayes is an avid chamber musician and has been coached by renowned artists Itzhak Perlman, Yo-Yo Ma, and Leon Fleisher. Recently, Robert has appeared at Lincoln Center, Carnegie Hall’s Weill Recital Hall, and Merkin Hall. 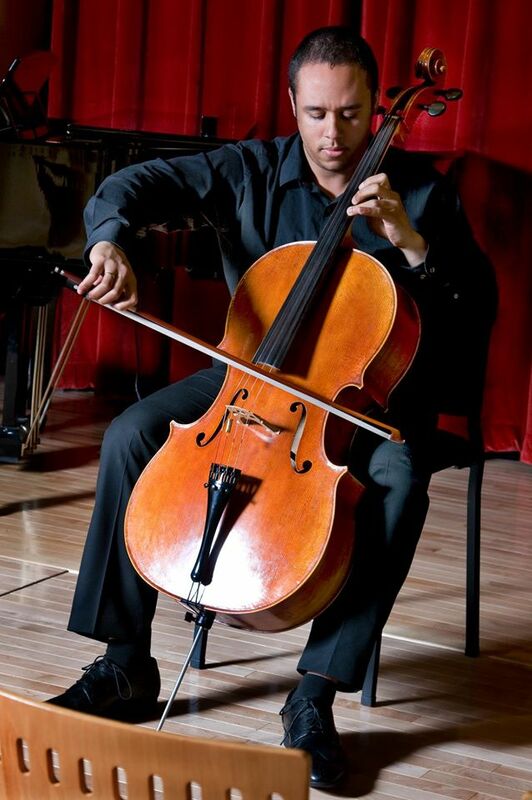 He has attended the Professional training Chamber music workshop at Carnegie Hall, and the Perlman Music Program.